If you own a pool, you will need quite a few chemicals to keep it nice during the summer. However, when winter rolls around, you may want some extra storage space for other things. Maybe you want to move your pool chemicals somewhere else. If this is the case, why not put them in a self storage unit at Affordable Family Storage in Topeka? This gets them out of your way and you can easily come grab them when summer begins. 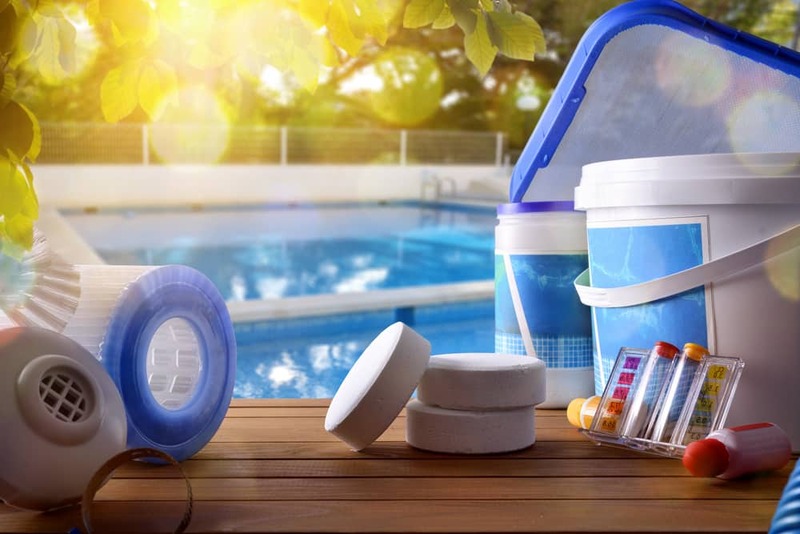 Here’s how to safely store your pool chemicals. Typically, your pool chemicals will include disinfectants, sanitizers, and chlorinating agents. These keep your pool from getting algae and bacteria. The chlorinating agents are, obviously, to keep your pool chlorinated. These chemicals can be corrosive, which means they can be a bit hazardous to handle. That’s another good reason to keep them in self store during the offseason. If you have kids or pets, you can eliminate any chance of them being able to get into the chemicals by accident. So, if you do store your chemicals, what are some things you need to do to make sure they’re stored safely? First and foremost, they need to be in a cool, dry place and not exposed to sunlight. Affordable Family Storage has climate controlled storage units, which would be perfect for your pool chemicals. You should also make sure to keep the chemicals in their original containers. These containers were specially designed to be able to hold the chemicals. If you put them in the wrong container, they could eat through the material or fumes could escape if it’s not properly sealed. You should also never stack your containers of pool chemicals, because they could fall over. Following these tips will ensure that your pool chemicals will stay safe in your self storage unit. Quick Storage Tip: make sure to never store an oxidizer next to an acid. The combination of these chemicals creates chlorine gas if they happen to come in contact with each other. If you’re looking for self storage units, look no further than Affordable Family Storage. We have a variety of self storage units that can perfectly meet your storage needs. If you’re not sure what size self storage unit you need, just use our storage calculator. Contact us today for more information and to start renting your storage unit.